Chris concentrates his practice in the areas of patent preparation, prosecution, and analysis, with particular expertise in medical devices, locks and access control devices, door closers and hardware, gas turbine engines, refrigeration systems, and other mechanical and electromechanical areas of technology. Prior to private practice, Chris worked as a patent examiner for the United States Patent and Trademark Office in Alexandria, Va. As an examiner, he reviewed patent applications in the refrigeration field, including heat exchangers, vapor compression circuits, ice makers, refrigerators, air conditioners, heat pumps, and geothermal systems. 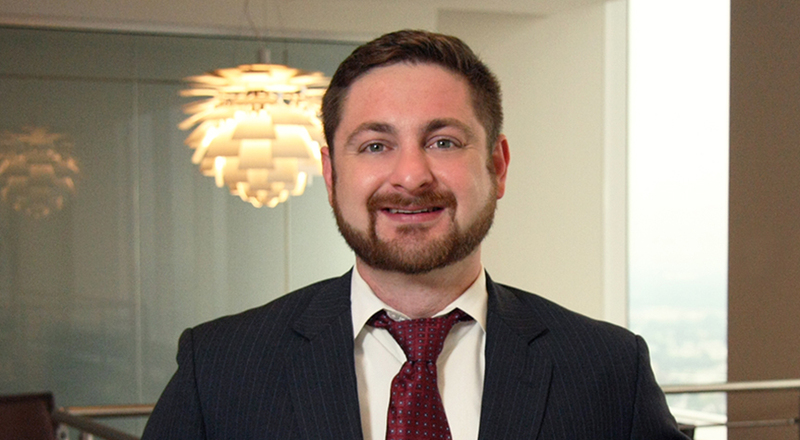 While in law school, Chris worked as an intern for the University of Cincinnati Intellectual Property Office, where he gained experience in licensing and material transfer agreements. He also served as a member of the Volunteer Income Tax Assistance program, where he prepared and explained tax return forms for low-income members of the community. Chris is conversationally fluent in Spanish and has served as a translator for over a dozen mission trips to Central America. Evaluated the commercialization potential of invention disclosures, reviewed licensing agreements, and identified potential licensees for a major educational institution. Researched prior art and prepared patentability assessments on behalf of the United States Patent and Trademark Office. Conducted dozens of freedom-to-operate and clearance investigations, including developing non-infringement positions, invalidity positions, and design-around modifications. Performed numerous patentability investigations across a wide range of technologies. Prepared and prosecuted domestic and foreign patent applications for clients ranging from individual inventors to multinational corporations. Conducted patent portfolio due diligence investigation for an international corporate acquisition.